← Music to my ears! A few things rocked my world over the holidays. Since I plan to continue the chill (aka lazy) holiday vibe this weekend, I thought I’d share a few relaxing treats in case you plan to do the same. This wine is described as “aromatic and robust”. Juan Gil is so delicious that it has officially become my new favorite red in the 20$ – 25$ range. 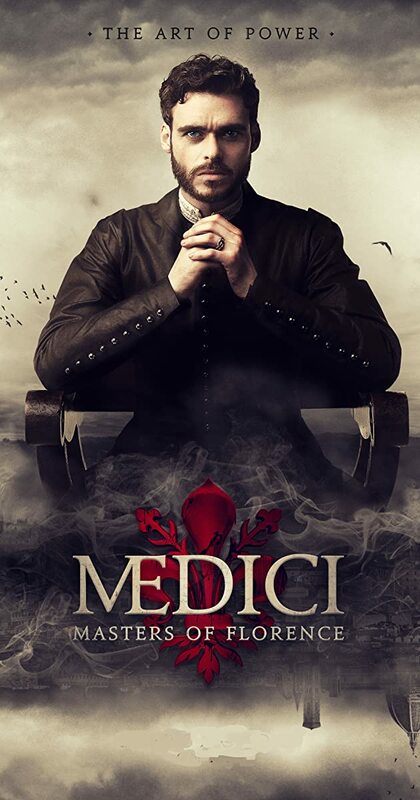 The Netflix series Medici is addictive. Starring Richard Madden (Game of Thrones) as Cosimo, and Dustin Hoffman as his father, Medici is The Godfather set in Renaissance Florence. Cosimo dreams of being an artist but is forced to take over the family business after his father is poisoned to death. So naturally adept at power plays, you are left guessing: is he a victim or is he ruthlessness incarnate? Wanting to maintain the holiday spirit after getting rid of our tree, we wrapped fairy lights around a large plant. It looks like a mini palm tree and evokes summer memories while keeping my home glitzy. I am obsessed with this book written by The Jungalow’s Justina Blakeney. She classisfies 6 types of bohemian styles, provides a DIY project inspired by each, and provides a plant-o-pedia. I can’t wait to have a few hours to flip through the pages and start planning my home revamp. Speaking of decorating, I am also impressed with this book. Because it is their second book about decorating, and because I read every edition of the magazine, I didn’t think it could possibly provide any surprises…but lo and behold…I am still getting new ideas. The team at domino continually blows my mind. The guide is practical and so well curated that it is a necessary resource. Every time I go to my sister’s house I have to borrow a hat and I inevitably choose one in particular with a pom pom that is just plain fun to wear. When I saw one (similar) at Garage I went ahead and bought it with the matching scarf because it reminds me of her and the hilarious times we spend together in the snow. Happy belated New Year and enjoy the weekend! I hadn’t laughed that hard in a while! Yay sledding and Pom poms!